The titles of the original Star Wars trilogy fit the wind of change sweeping through politics. The Western leadership has forsaken its citizens, pursuing the dreams of a global empire; its main victims were its supporters, the moderates, the centrists, the Western middle class,1)The tale of the two middle classes, Yale Global Online 2014-07-31.who crashed under the weight of globalization in the forms of tax havens, mass migration, off-shoring, and global wars. 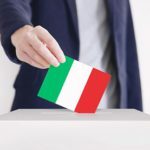 The 2018 Italian elections are a reminder that the political upheaval, superficially snubbed as “populism” by an increasingly delusional globalist elite, is here to stay. Movimento 5 Stelle and Lega are Italy’s anti-establishment parties. They were expected to pick up 27-28% and 13-15% respectively. They both exceeded polls predictions. 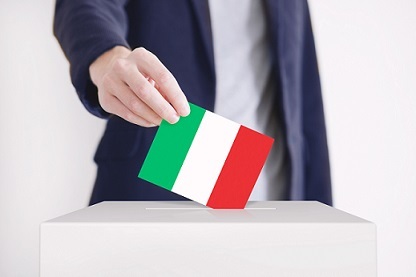 M5S will likely pick 31%, while Lega 18.5%, beating its coalition rival and mainstream party Forza Italia of Silvio Berlusconi, the Italian forerunner of Donald Trump, which now garnered a meagre 13.6%. Why is this happening? We have to go back to 2011. Pressured by markets turmoil, Berlusconi was forced to resign and support a centrist, pro-EU technocratic government, led by the former EU Commissioner Mario Monti, which imposed harsh austerity policies sending Italy into a deep recession. Unemployment in general and youth unemployment in particular skyrocketed with peaks above 13% and 43% respectively. The EU, via its technocrat, chose to salvage the euro currency and the financial sector, sacrificing Italian (as well as Greek and Spanish) millennials on the altar of a united Europe. Those who were supposed to enter the job market from 2011 onward often never did. With multiple years of unemployment, Italian millennials have become unfit for the job market. If unemployment rates declined, it was often because people became inactive, they gave up. The Eurozone is based on the model of the Optimum Currency Area, ideated by Robert Mundell in 1961.2)A theory of Optimum Currency Areas, American Economic Review 1961-09.According to it, if an area within a monetary union is hit by an asymmetric shock, then unemployment from the area negatively afflicted would be absorbed by the area positively hit. In short, the future for the Italian youth is to migrate to Germany. If they don’t do that, then the to economists believe they are spoilt and lazy. It should be noted that an average of 100,000 Italians a year have left the country for the past three years, though some argue that the number might actually be twice as high.3)Istat: gli italiani continuano ad emigrare. Giovani, laureati e diplomati, Agensir 2017-11-29.Not enough to solve the issue. We are witnessing the failure of the economic model on which the Eurozone is built. Economic models cannot obligate people to behave according to them; they should rather explain human behaviour. If they fail to explain that, the political shift will be accompanied by an intellectual one. The revolution will eventually reach academia and a new class of intellectuals with different ideas and models will take over. There’s a fundamental, ludicrous mistake committed by the liberal leadership: millennials are going to stick around for the next 4-5 decades and they will vote, no longer trusting in the EU,4)How Italy turned Euroskeptic, Politico 2017-12-20.as it has betrayed them and has nothing to offer. Now it is demanded of Italian millennials that they repay debts that they never made, with jobs they do not have. Last year, an Italian university student of economics had a chance to meet Romano Prodi, former EU Commissioner and Prime Minister of Italy. Prodi lamented that “he did not recognize his Europe any longer”. The Italian graduate brightly retorted that it was him who made Italy join the Treaty of Maastricht (including the euro and its nonsensical debt stability parameters), and then it was him who created the European Constitution, later blocked and changed into the Treaty of Lisbon. The student courageously concluded, “You sold our future in exchange for what? The freedom to be a waitress abroad. A life of desperation, sometimes leading to suicide. (…) Take your responsibility and apologize”.5)Studentessa a Romano Prodi: “Lei has svenduto il nostro futuro, in cambio di cosa?” L’antidiplomatico 2017-02-26.Rest assured, this is not an uncommon opinion among the Italian youth. A decade ago, Berlusconi and his center-right and the center-left could jointly muster above 70% of the vote. Today, barely above 30%. This reflects the shrinkage of the center, corresponding to the collapse of the middle class, as mentioned above. Berlusconi is in the winning coalition, but he doesn’t have the numbers to form a government. Most importantly, he’s well behind Salvini of Lega. In the last few weeks, Berlusconi has presented himself as the gatekeeper of the establishment against a populist backlash. Since, having been punished for tax evasion, he can’t personally run for politics, his candidate for the position of Prime Minister is the former EU Commissioner Antonio Tajani. Indeed, Italians didn’t like that at all. If there’s going to be a center-right coalition, it’ll be lead by Lega and it’ll include the prominent anti-Euro professor Alberto Bagnai as minister of the economy. In the meantime the demise of the left of the center continues. The Democratic Party was expected to suffer a resounding defeat, and indeed it took a humiliating 19.5%. Populist Lega is now right behind them. Their coalition partner, +Europa, a party advocating the creation of the United States of Europe, run by Emma Bonino, an agent of oligarch George Soros,6)Emma Bonino, Open Society Foundations.also performed poorly, despite the support of the Italian mainstream media. The party’s leader might not even enter the parliament in the end. The left continues its suicide, due to its relentless support for open borders and multiculturalism and similar policies that benefit primarily the elite by shifting remuneration from labor to capital. Before 1991, the “Democratic Party” as it is now known was the “Italian Communist Party”, relying on the support of the working class. In 2018, the core voting base of Democrats are pensioners and the upper class. Only 11% of the working class still support them.7)Sondaggi elettorali 2018, gli operai (e i giovani) votano M5S. Tra i pensionati primo il Pd, bene FI, Corriere della Sera 2018-01-27.As immigration translates into lower wages and worsening of personal safety for the poorest, they shifted their support to someone who doesn’t snub their worries as racist or bigoted. Three complicated scenarios: the center-right coalition manages to gather those few additional numbers to get the majority in parliament, forming a Lega-led government, which will leave the EU uneasy. Alternatively, Democrats and the 5 Star Movement can form a coalition, a risky move for the latter, which might result in a loss of consensus if they side with a party they were harsh opponents of until today. Finally, the other option is the “populist” coalition, M5S + Lega, a nightmare scenario for the EU.